Today, a Federal High Court in Lagos declined to entertain the N300m fundamental rights enforcement suit filed against the Inspector-General of Police (IGP) by suspected kidnap kingpin, Chukwudumeme Onwuamadike a.k.a. Evans. 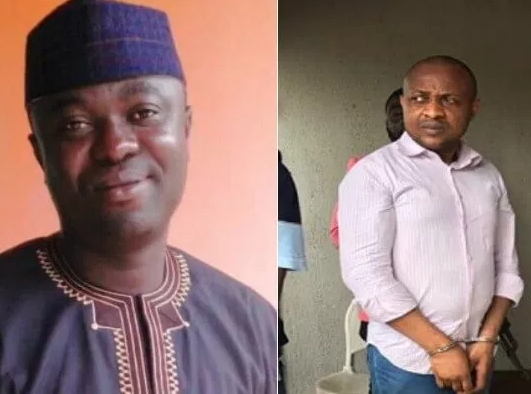 Justice Chuka Obiozor reached the decision following the failure of Evans’ lawyer, Mr. Olukoya Ogungbeje, to pay the punitive cost of N20, 000 awarded against him at the last adjourned date. Justice Obiozor, a vacation judge, adjourned further hearing till July 27, for Ogungbeje to comply. Justice Abdulaziz Anka, who awarded the cost against Ogungbeje on July 13, said the lawyer would not be given audience in court until he paid the N20,000 to the police. At the commencement of proceedings yesterday, counsel for the Lagos State Commissioner of Police, Effiong Asuquo, noted that Ogungbeje gave him a post-dated cheque for N20,000. He said he rejected it, since that was not the order of court. Justice Obiozor agreed with Asuquo and directed Ogungbeje to comply with the cost order. The judge also directed Ogungbeje to ensure service of his suit on the IGP in Abuja. In his fundamental rights enforcement suit, Evans, through Ogungbeje, is seeking a court order directing the police to charge him to court immediately or release him on bail. Ogungbeje argued that Evans’ detention since June 10, 2017 without being charged to court was a violation of his client’s fundamental rights enshrined in sections 35 (1) (c) (3) (4) (5) (a) (b) and 36 of the Constitution. For his alleged unlawful detention without being charged to court, Evans wants the court to award N300m damages against the police in his favour.